Swim (1:18) and bike (6:28) splits were nearly identical for Whistler and Penticton, and it's a pretty fast run, at 4:51. 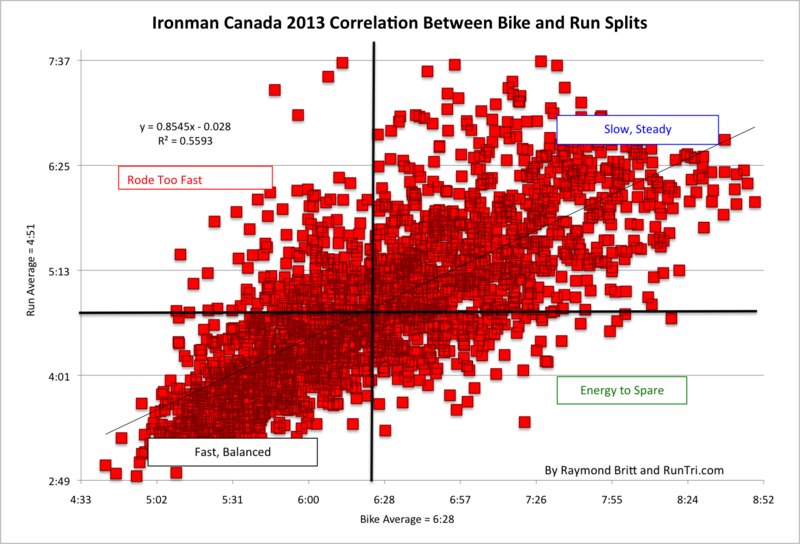 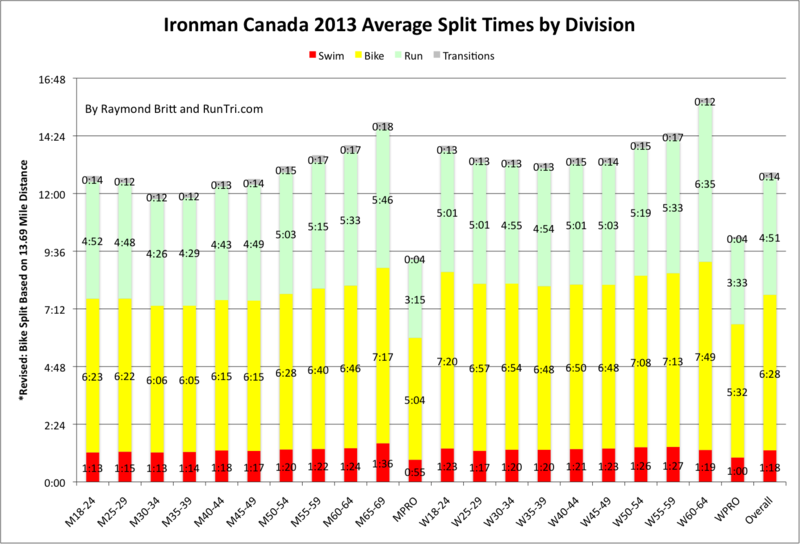 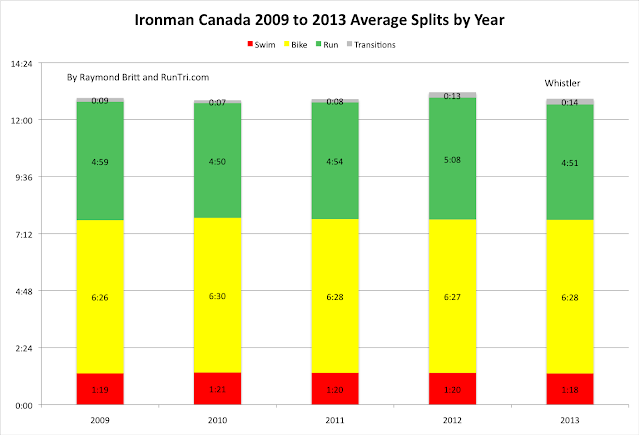 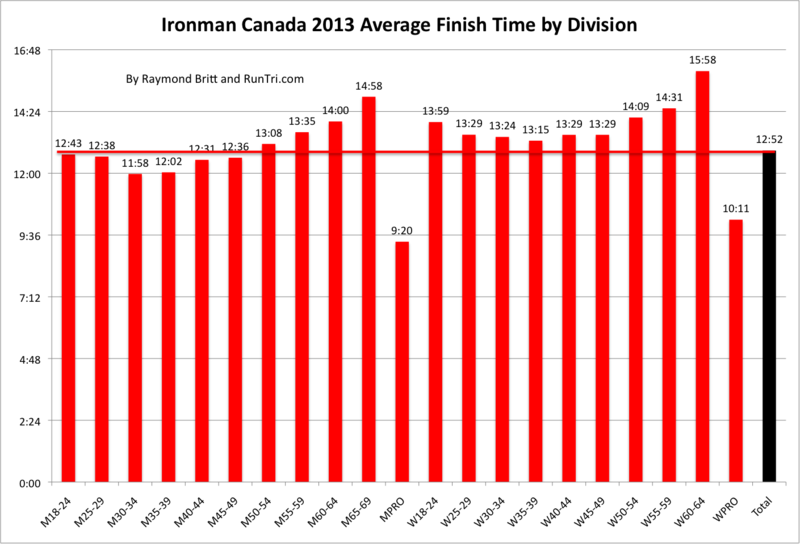 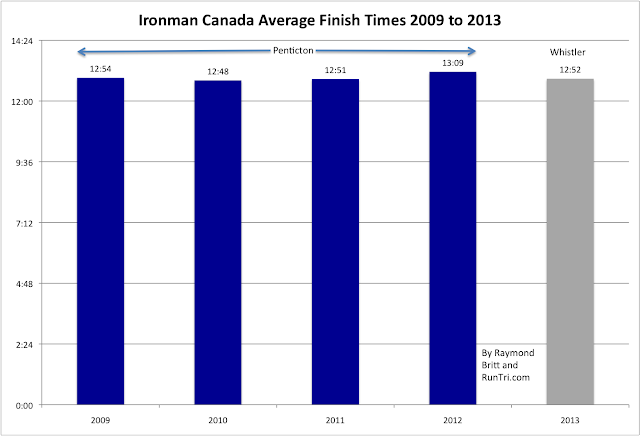 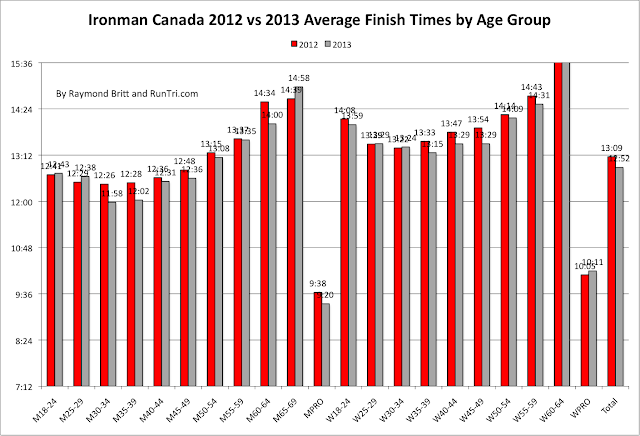 We've run the numbers for the Inaugural Ironman Whistler overall, by age group, by split, by bike vs run correlation, and compared with Ironman Canada/Penticton results from 2009 to 2012. 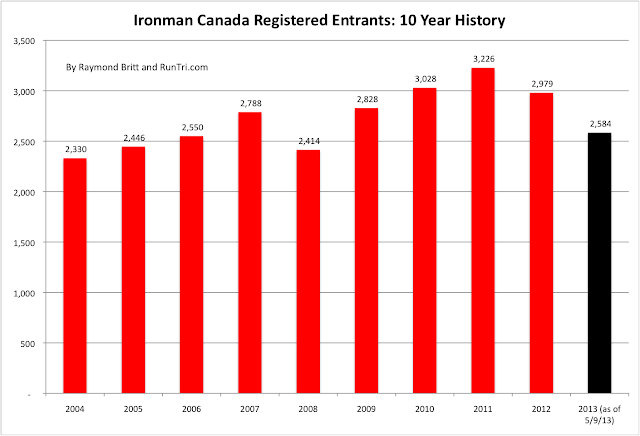 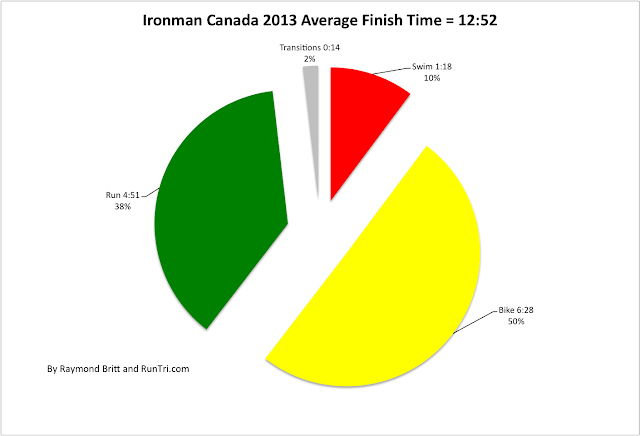 For more, see our historical Ironman Canada Coverage, and see our Stats/Results/Analysis archive to compare Whistler results against other events. 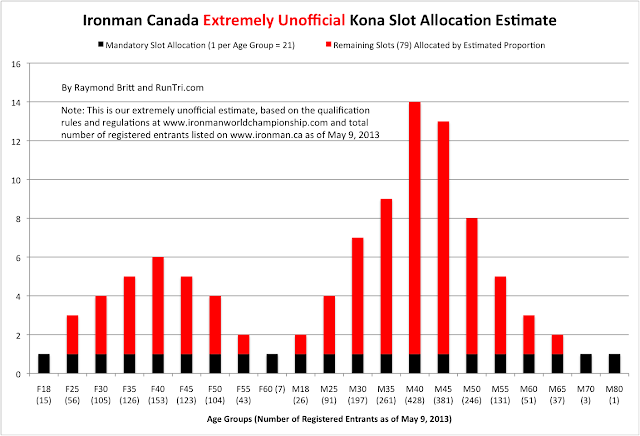 The good news is that by offering 100 Kona qualifying slots, the odds of winning a slot at Ironman Canada in Whistler is second best of all Ironman brand events. 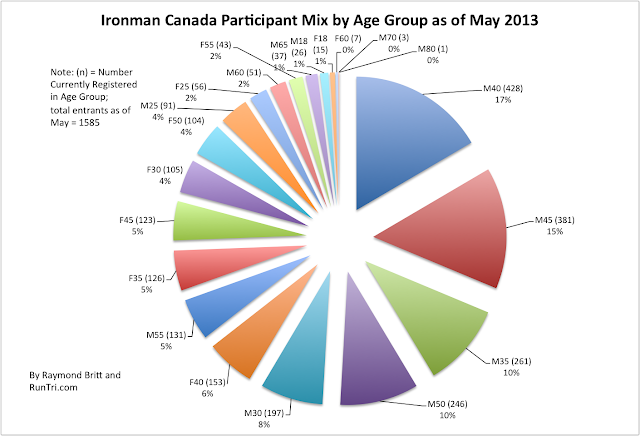 Overall, as of May 9, 2013, 4+% of registered entrants could qualify at Whistler. These odds are likely to increase, as 15% of registered entrants typically do not start the event. 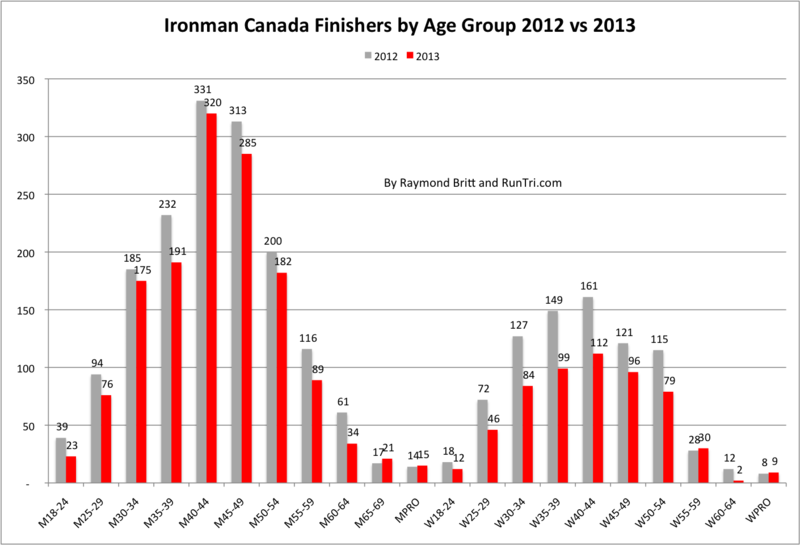 We'll be presenting complete coverage of Ironman Canada 2013 in Whistler on race day. For now, here's our analysis of registered participants by age group, a comparison of registered entrants in 2013 vs 2004 to 2012, and an extremely unofficial, but likely to be fairly close, estimate of allocated Kona slots by age group.